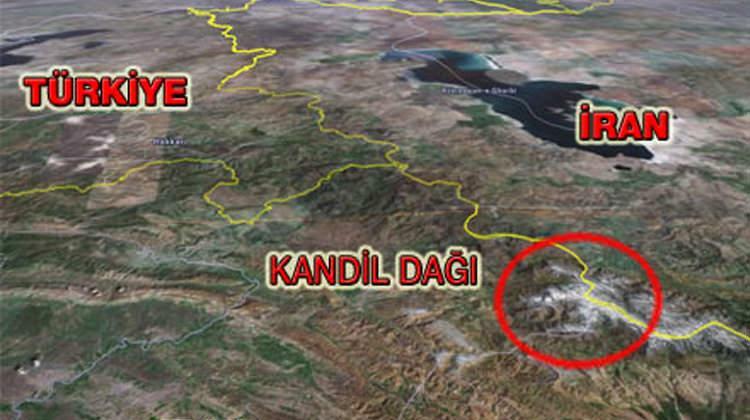 Only after such a tri-partite cooperation of Turkey, Iran, and Iraq, can the PKK finally be cleaned off from Qandil. As for defeating the PKK in Syria, Turkey will have to work with the U.S. and will have to find a way to persuade the U.S. to stop its support to the PKK’s consolidation in Syria. Turkey is in the midst of a ground operation in Iraq. The operation aims to clear the entire area under PKK control in Iraq and remove the PKK headquarters from the Qandil region, which is about 100 km away from the Turkish border. There were already limited operations and ongoing air bombardments of the PKK targets taking place after the PKK ended the ceasefire in the summer of 2015. Nevertheless, according to local sources, the operations took a new phase on March 11th of this year. 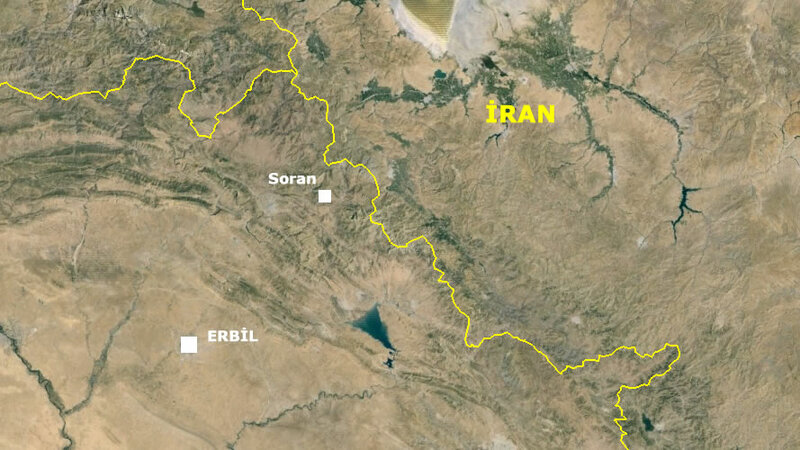 Accordingly, Turkish forces landed on the top of the mountains (i.e., Şapan, Dilan, Kewet, Bene, Çiyasor, Alekan ve Çiyaneya) in Sidekan/Bradost in Soran district of North Erbil. Then, eleven military bases were installed in the area. Next, the installed bases were connected to each other with the clean & sweep operations of Turkish ground forces and newly built roads between the bases. We see a close synchronization of the Turkish air and ground forces in time, space and purpose for the clean & sweep operations. As a result of this joint operation, 155 PKK members were neutralized in the region since March 11. The 23 km long border was cleaned of the PKK threat and a total 400 km square is cleaned of the PKK. 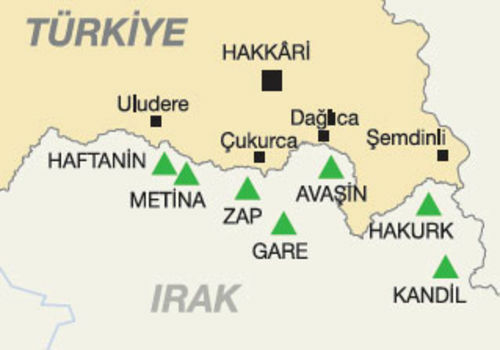 As a result of this operation, Turkey formed two pockets of PKK-free areas in Iraq across its border, one across Çukurca in the west and one across Şemdinli in the east. The eastern pocked has become a corridor heading towards Qandil and is currently as close as 24 km to the PKK headquarters. Since March of this year 155 PKK members were neutralized in the region. The 23 km long border was cleaned of the PKK threat and a total 400 km square is cleaned of the PKK. Turkey seems to be committed to end PKK terrorism for once and for all. After the PKK ended the ceasefire by murdering four Turkish security personnel in three different occasions from July 20 to 23, 2015, Turkey started its counter-terrorism operations. In response, the PKK increased its terror attacks including suicide bombers in bus stops, stadiums, etc. and started its so-called “rural-based urban war” in 22 centers across six cities in southeastern Turkey. Once Turkey cleaned these residential areas from the PKK, the country seems to be committed to end the PKK in its strongholds outside Turkey. The PKK has no safe havens in Turkey, not a single “liberated” village, but is freely recruiting, training, sheltering, and even ruling vast areas in Syria and Iraq. Afrin was the first place where the PKK/PYD was cleaned off, the PKK leader Ocalan’s posters were taken down from Afrin city, and school textbooks with references to Ocalan are no longer being taught to school kids in Afrin. Given that Qandil is 100 km away from the Turkish border, it required diplomatic negotiations with the Iraqi central government. Following Afrin, Turkey also pressured for Sinjar in Iraq and Manbij in Syria to be cleared of the PKK. Sinjar and Manbij are still matters of diplomatic encounters between Turkey, the U.S. and Iraq. Nevertheless, unlike Manbij in Syria, the PKK is not under the security umbrella of patron states in northeast Iraq. In fact, the organization does not even allow the Kurdistan Regional Government forces to the areas under its control. Yet, given that Qandil is 100 km away from the Turkish border, it required diplomatic negotiations with the Iraqi central government. If Iraq will be cleared of the PKK altogether, it will have to receive the support of Iraq or even Iran, which otherwise might be a retreat or even a logistical support zone. Hence, Turkey’s offensive in Iraq will require its neighbors’ cooperation. And only after such a tripartite cooperation of Turkey, Iran, and Iraq, can the PKK finally be cleaned off from Qandil. As for defeating the PKK in Syria, Turkey will have to work with the U.S. and will have to find a way to persuade the U.S. to stop its support to the PKK’s consolidation in Syria.